Did you ever enter a space and immediately feel you are just where you had to be? My first stop in Australia felt exactly like that. 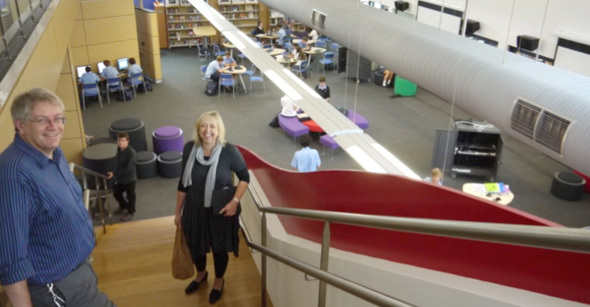 I came running from the car through pouring rain and arrived in a vivid, bustling, learning environment: The Sydney Center for Innovation in Learning. 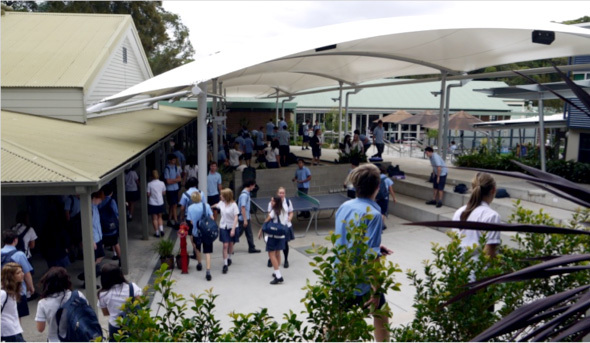 SCIL is the innovation unit of Northern Beaches Christian School, a christian but non-denominational, partly state-funded K to 12 School in Terrey Hills with about 1200 students. Don’t imagine SCIL as a division within a bigger organization – imagine SCIL as the creative spirit, the philosophy, the leading vision of this entire school. The pedagogic approach of this place is based on the best theories that are out there in the world of education: The definition of the 21st centuries skills, Gardner’s multiple intelligences are at the core of the learning structures. 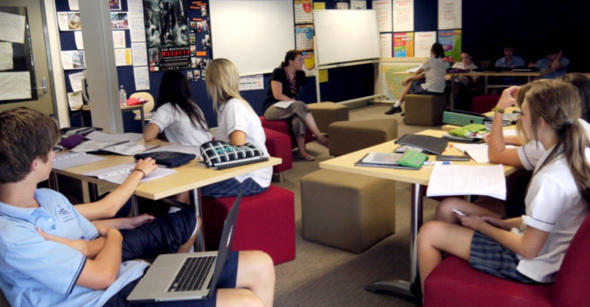 The idea of having flexibility of tuition in open spaces, mixing classes and age groups - as well as working in small units focused on individual tasks is here common practice. The backbone of all this is empowerment: In this place, people trust each other. And most of all, they trust in the potential of young people, in their creative power. I learn about the „Matrix“. It is a highly structured method of running integrated projects – along learning areas and skills, like for instance, Gardner’s approach of intelligences. The best thing about it is that it allows kids to learn playfully and reflect on their learning. SCIL has defined ICT as a language and recognizes that their students today are all “native speakers” of the digital language of computers, video games and the Internet. 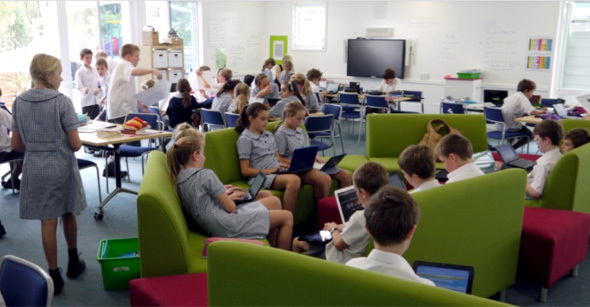 So, the use of ICT is embedded in the life of the school as an environment. You see huge screens in the common spaces, desktops and laptops everywhere. Ryan, a tenth-grader, gives me an introduction on their online learning portal. 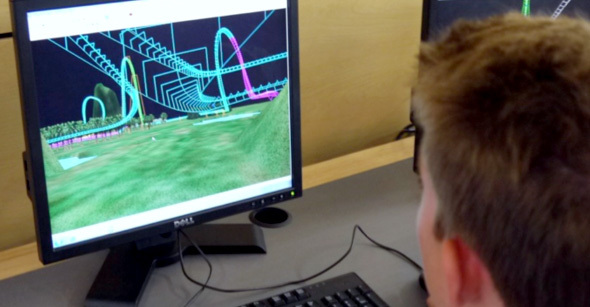 Some seventh-graders are about to design a roller coaster for an adventure park. 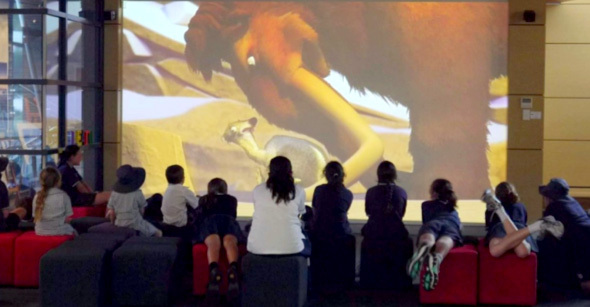 For noon break, some kids watch Ice Age on a huge screen. In the music room, some teens are engaged in composing music on their laptops. 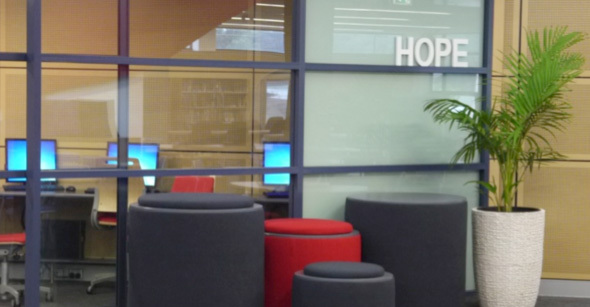 And I learn that the school is represented in Second Life, as a place of learning there – and that this is the work of a 15 years old girl who led with a group of students to replicate their space in the virtual world. The idea is not so new – already the Reggio pedagogy has defined architecture as the “third teacher”. But the idea is good, and Steve is actually, deep in his heart, an architect. Through the years, he has developed the spaces of the school from boxes with tables and chars into spaces of learning and collaboration. And he has transformed even the boxes – the classrooms - into cozy lounges of joyful learning by changing the furniture to be more “starbucky”! 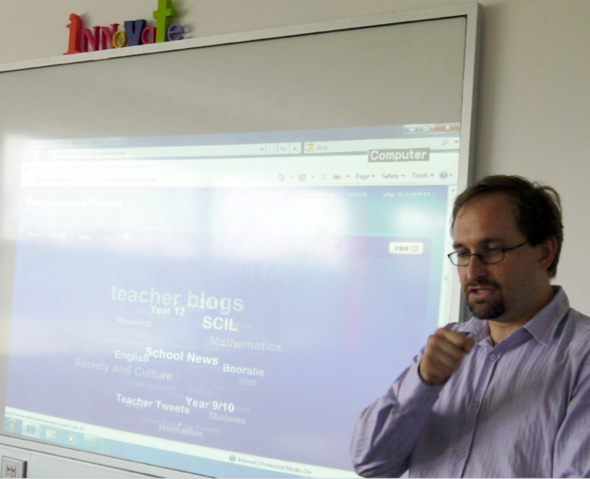 At SCIL, teachers are encourage to connect internationally, to twitter, to be on facebook, to attend skype conferences and be connected to the world. Most of them said that there was some fear of transparency at the beginning, but the benefits of understanding the world of the “digital natives” and being able to navigate across it are huge. So, many of them entertain blogs, like “Happy Steve” or Anne Knock. Steve Harris nourishes his team’s inspiration with examples of best practice all over the world. He travels to experience ideas that work, and proudly shows me around how he transforms what he saw and experienced – from useful little details in the life of the school to the big concepts of pedagogy and architecture. With a big smile he shows me his “mountains” – an inspiration from the Danfoss Universe. The question about funding all this gets the most optimistic, laid back and for me, encouraging answer I ever got. Steve and Anne keep it simple: If you really have the most simple and innovative solution to tackle a problem, first, it won’t be expensive, but smart. And second, if it has to be expensive, if it’s the smartest and most innovative solution, you’ll be able to find the funding, because you will be persuasive! Dear friends and followers of playDUcation, in the next days I will elaborate deeper and give you more insight into SCIL. For those of you who want to learn more, I recommend the research area on the SCIL website!